We visited the Legoland resort between Christmas and New Year and the kids had a fantastic time and they have Junior Builder Week this February Half Term. 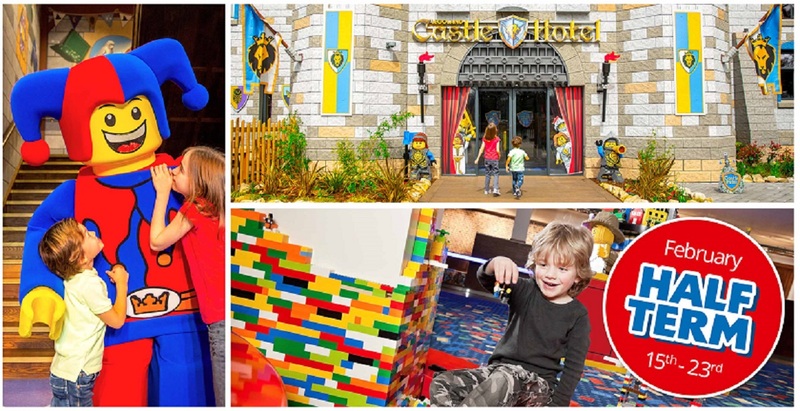 Along with an exciting overnight stay at either the LEGOLAND Resort or LEGOLAND Castle Hotel, budding LEGO® builders can experience a stay full of creative build workshops, a captivating treasure hunt, meet and greets with your favourite LEGOLAND characters — all from just £171 for a family of four. Mosaic build: Help us in building a giant LEGO Mosaic of your favourite LEGO characters. Family speed-build challenge: Test your skills with a LEGO speed-build for a chance to win some awesome prizes. Build–A–Coaster: Join some of our master builders for a rollercoaster free build. Free build: Use your imagination and help us build a LEGO City. LEGO® Builders Disco Party: Fancy dress is welcome! Bricktastic Magic Show: Spellbinding for the whole family! Plus, all Junior Builders will receive their own builders checklist to complete during their stay! And don’t forget the awesome Movie Den! If you would like this and other great events sent directly to your inbox, why not sign up to our newsletter here.